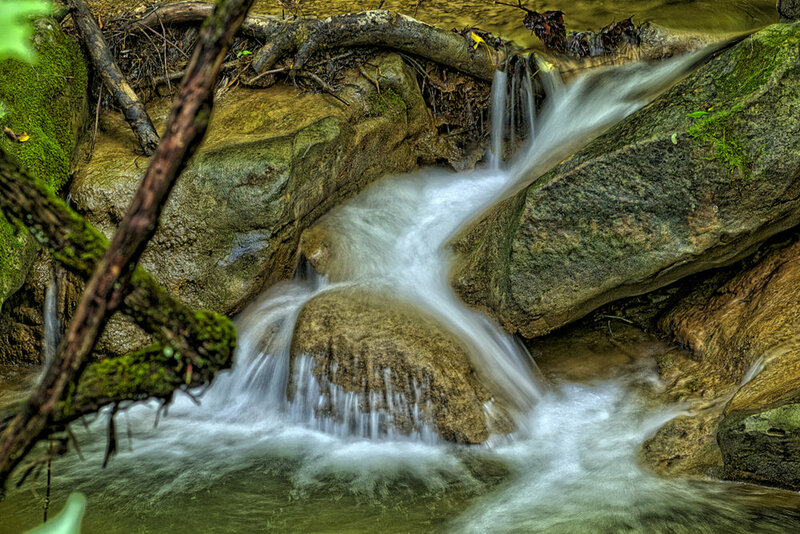 In addition to a bounty of natural wonders, the arts remain alive in Letcher County. Anywhere local residents gather, the twist of a tale, the strike of a bow, or the stroke of an artist’s brush pay homage to the legacies of mountain dance, craft, lore and music, and serve as introduction to the county’s multi-dimensional arts environment. Music is an important part of Appalachian culture. Generations ago, it was how stories were archived and lessons were taught. To this day, Letcher County still maintains a lively and important music scene. 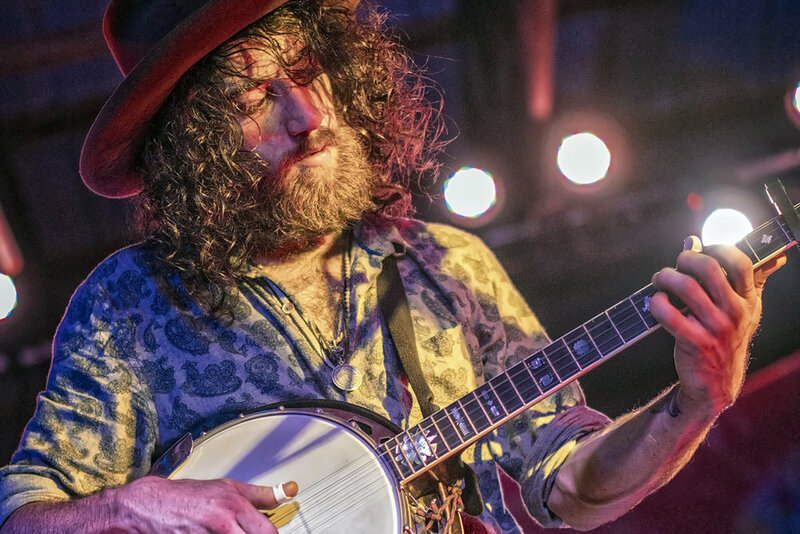 Each Friday, music quite literally reaches the county from end to end, as Campbell’s Branch and Hemphill Community Centers tune up with a long list of featured weekly musicians. 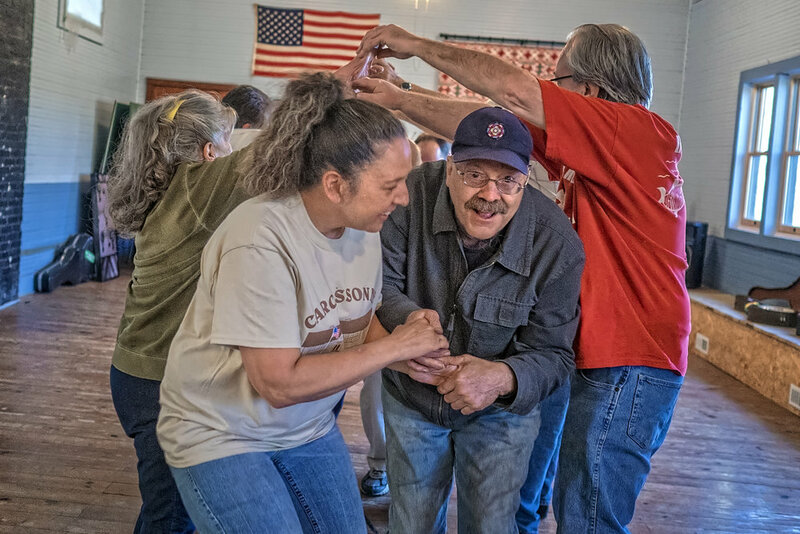 One Saturday a month, Carcassonne Community Center fires up the band and clears the floor for square dancing. 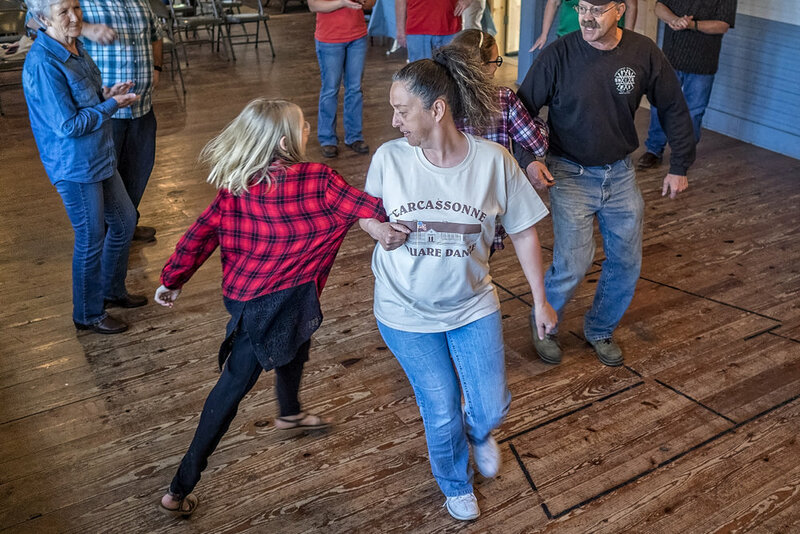 Carcassone holds the distinction of having the longest tradition of square dances in Kentucky. 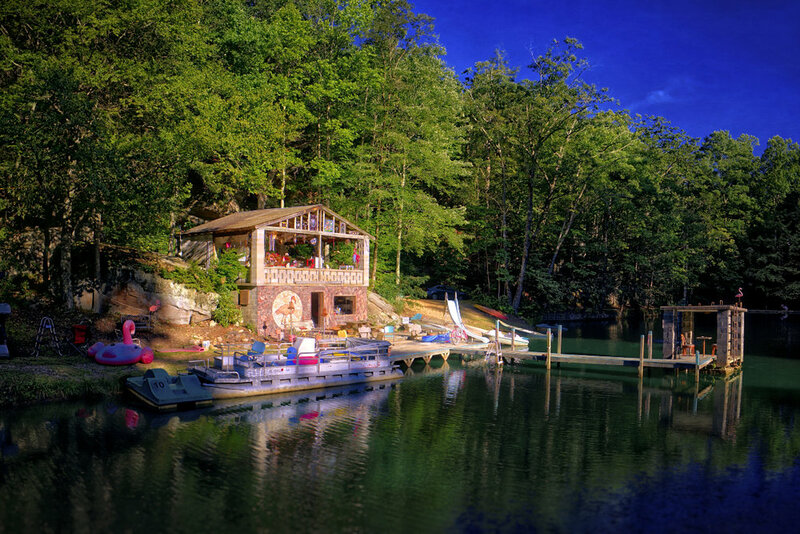 Other music venues include Appalshop, various outdoor stages at events, and Wiley’s Last Resort sitting atop Pine Mountain, which is one of the most unique campgrounds and music venues to be found. Aspiring musicians and singers can also join in and find their own time in the spotlight. Cowan Creek Mountain Music School is internationally recognized and brings people from all over the world to Letcher County to learn the intricacies of traditional songs from the mountains. The centuries-old tradition of Shape Note singing is making a resurgence in Letcher County, with workshops and congregational and community singing events a regular feature in the area. 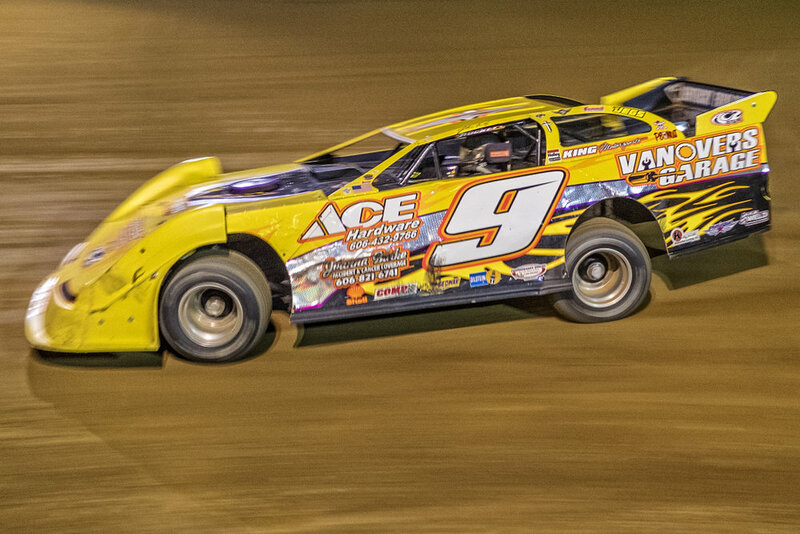 Letcher County is no stranger to the stage. 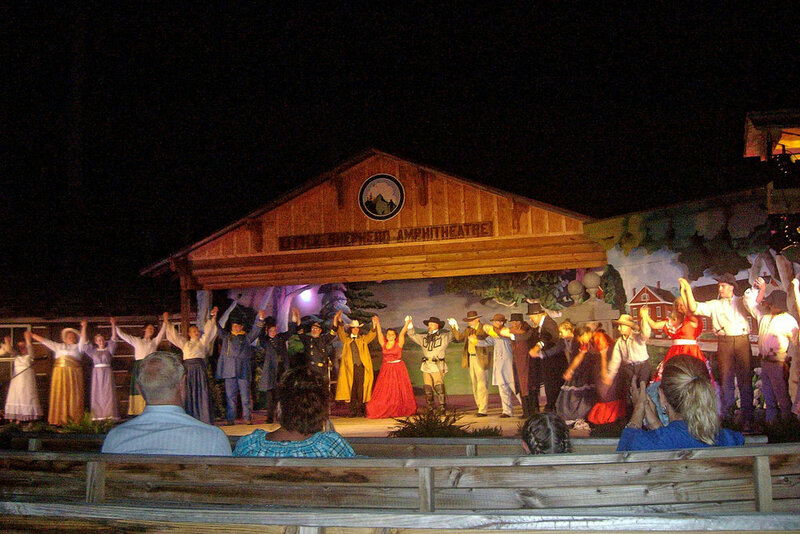 Appalshop, in Whitesburg, is home to the nationally-acclaimed performing arts company, Roadside Theater. The Little Shepherd of Kingdom Come outdoor drama in Jenkins has drawn audiences for a decade. 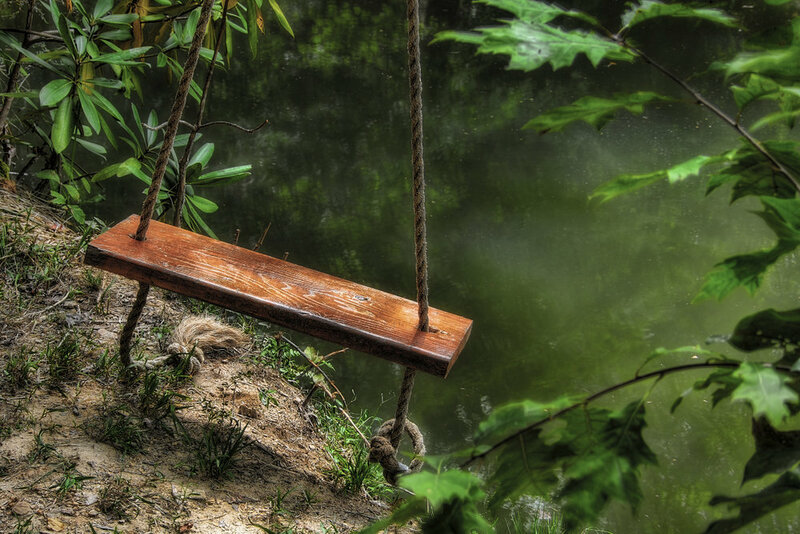 The play is only one of two outdoor dramas nationwide with an all-volunteer cast. 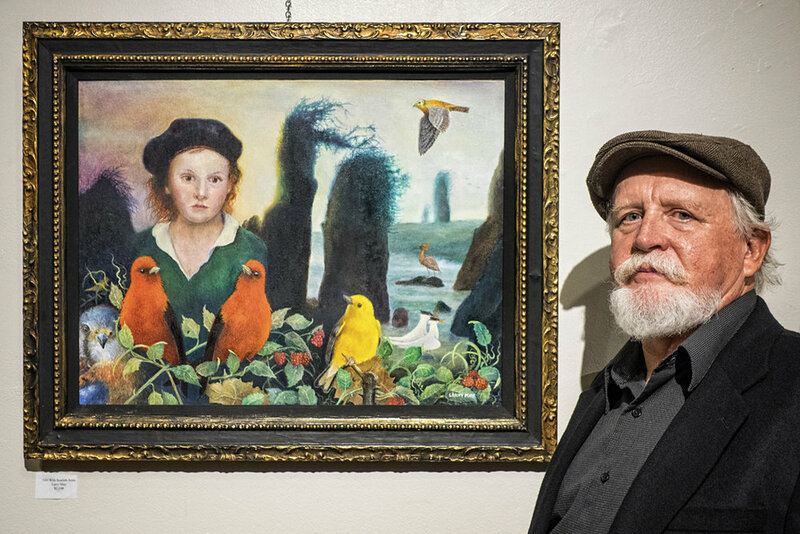 Visual art abounds throughout the county, and can be found in a variety of venues including restaurants, libraries, hospitals, outdoor installations and small artisan-run galleries within individual towns. 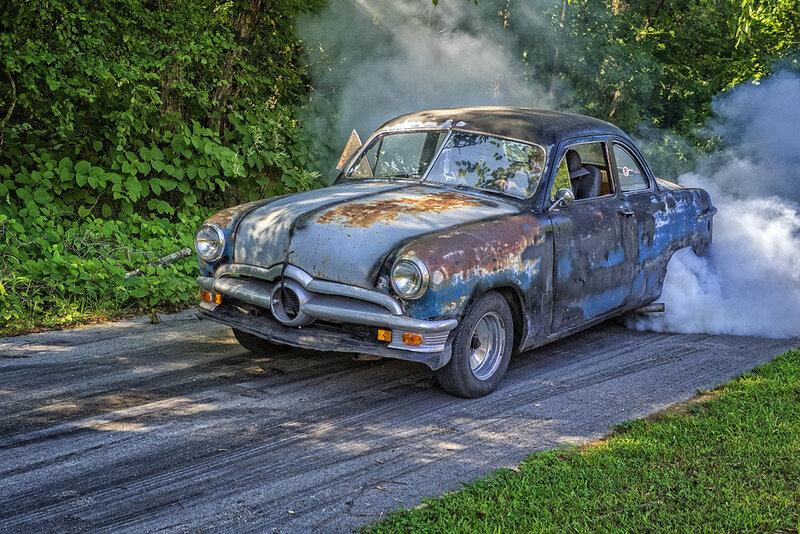 Strong initiatives spearheaded by dedicated citizens and engaged corporate sponsors are helping the county communities find new ways to honor old traditions. 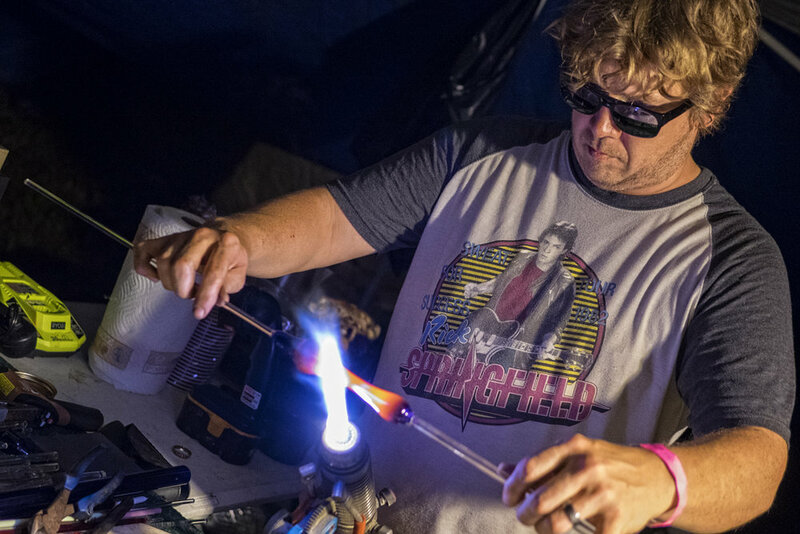 These efforts encourage residents to unleash their creativity, dreams and aspirations to mine for new alternatives that mold a diversified economy. 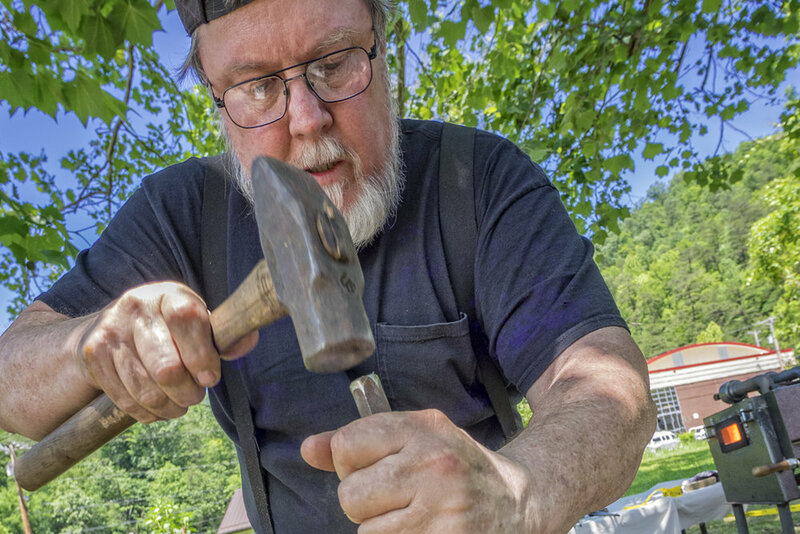 These efforts have given entrepreneurs the impetus needed to form their own businesses and offer tourism opportunities unique to Letcher County. 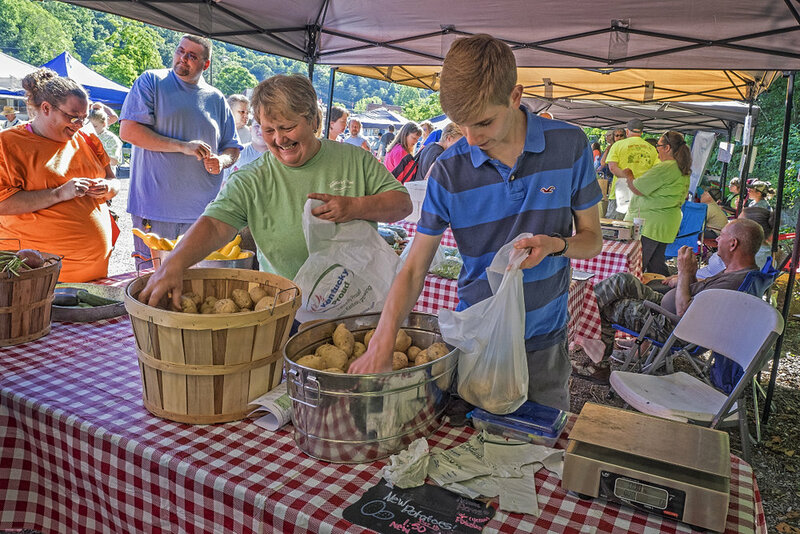 The City of Whitesburg/Letcher County Famers’ Market provides a venue for local farmers to share their bounty with the community, including locally-grown fruits and vegetables, homemade jams and jellies, organic meat and handmade arts and crafts by local artisans. Turning coal into wine, the Highland Winery has operations in what was formerly the company store for the Southeast Coal Company. The winery includes retail space and a bed and breakfast. 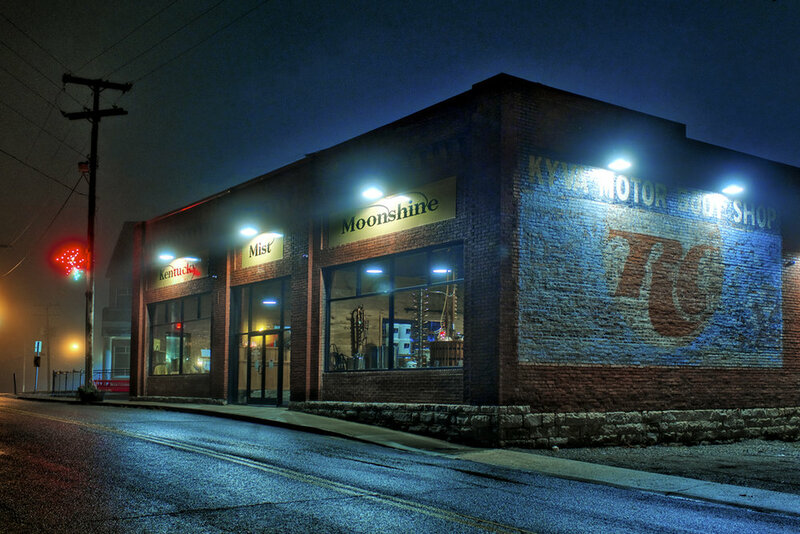 Kentucky Mist Moonshine is a craft distillery located Whitesburg that distills every drop of alcohol used in their products, and makes flavored moonshine using whole fruit for the most genuine taste. Indian Creek Settlement Farm is a small veteran-owned family farm in east Kentucky focused on breeding, raising, and selling heritage breed livestock and heirloom vegetables. The farm hosts events and agri-tours. Letcher County was forged from the rails and carved out of the mountains. 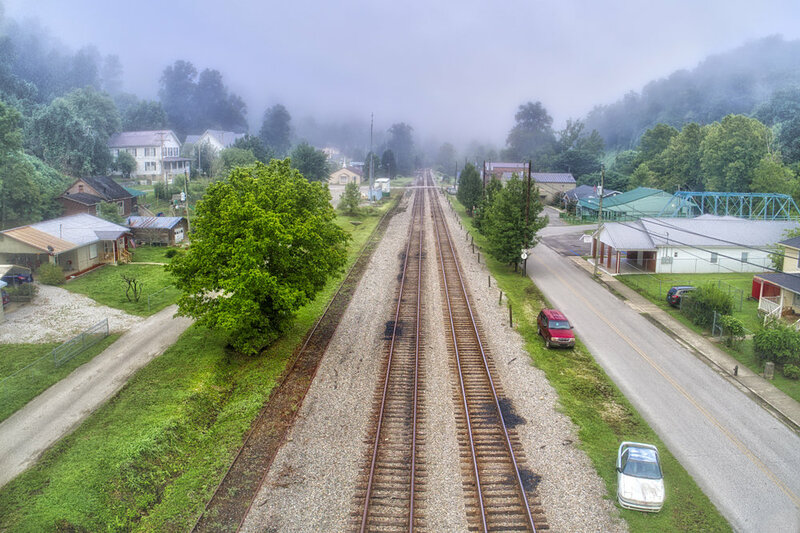 Rich in generational pride and history, the past remains alive through the preservation of historic coal camps, the Letcher County Veteran’s Memorial Museum in Whitesburg and the David A. Zegeer Coal-Railroad Museum in Jenkins. Retailers offer numerous shopping options, from primitive and fine antiques to unique boutiques and artist-run cooperatives. In Letcher County, you’ll find an abundance of local art, antique and specialty shops. 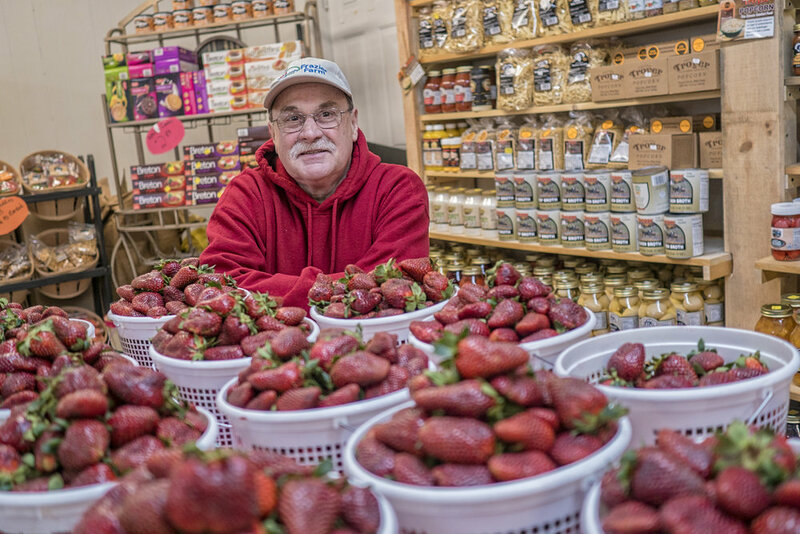 The county is dotted with little country stores and roadside markets, where you can still buy a pound of bologna, a cold pop and listen to the latest local gossip. 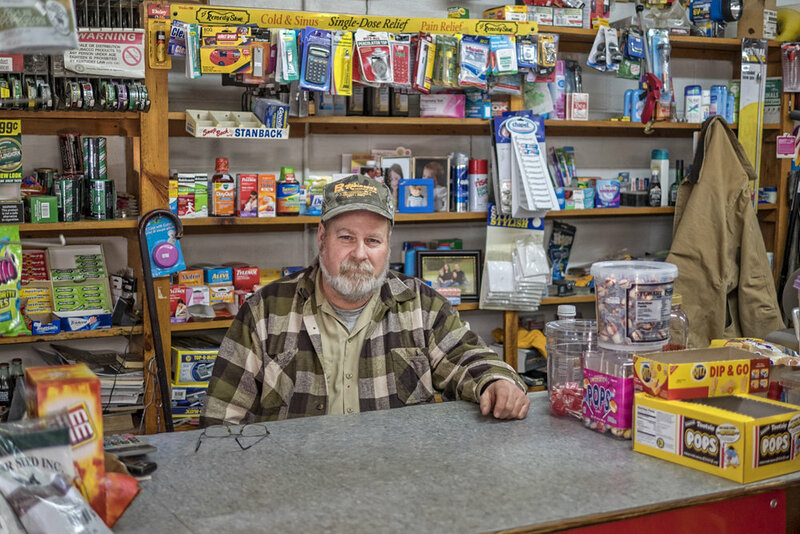 Locations such as these are fading quickly from the American landscape, but still thrive and are integral components to life in Letcher County. And who knows what treasures can be found at a local rag sale? There’s probably one just around that next corner. 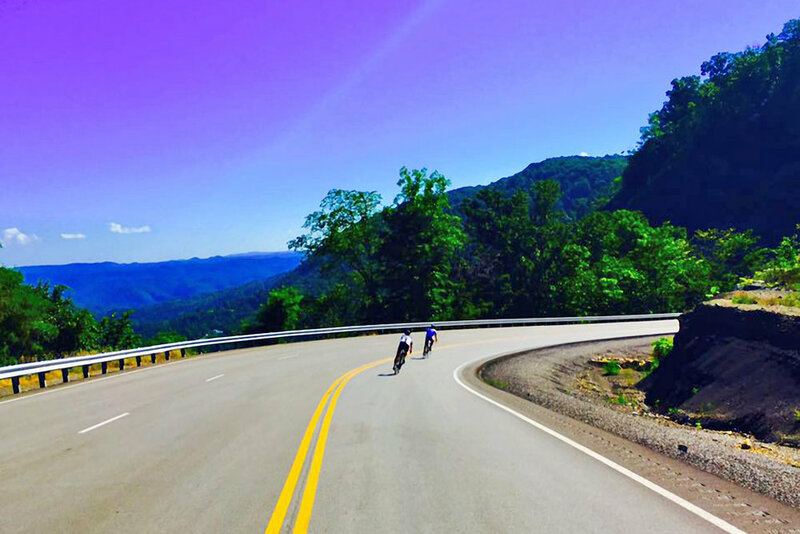 A family reunion in the summer, or peeking at the changing leaves forming nature’s palette in the fall, no matter the season, there’s always a reason to visit Letcher County. 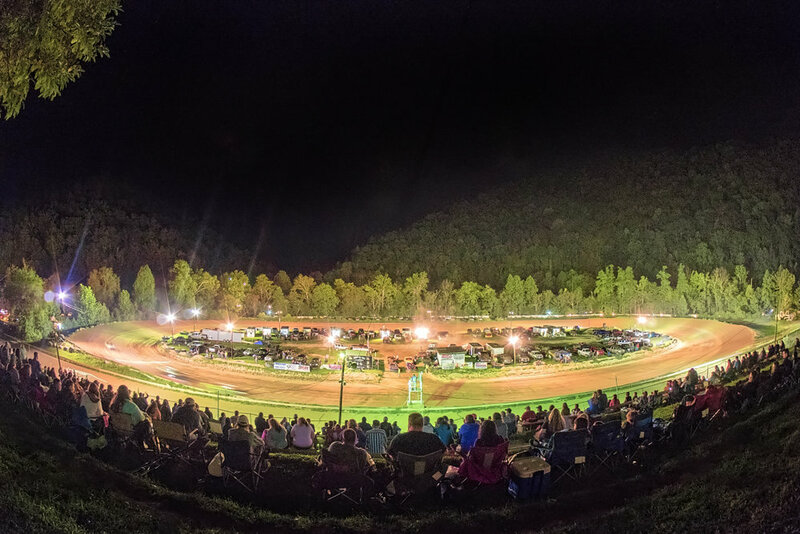 Nowhere is the essence of Letcher County displayed more prominently, than at the array of festivals offered around the year. 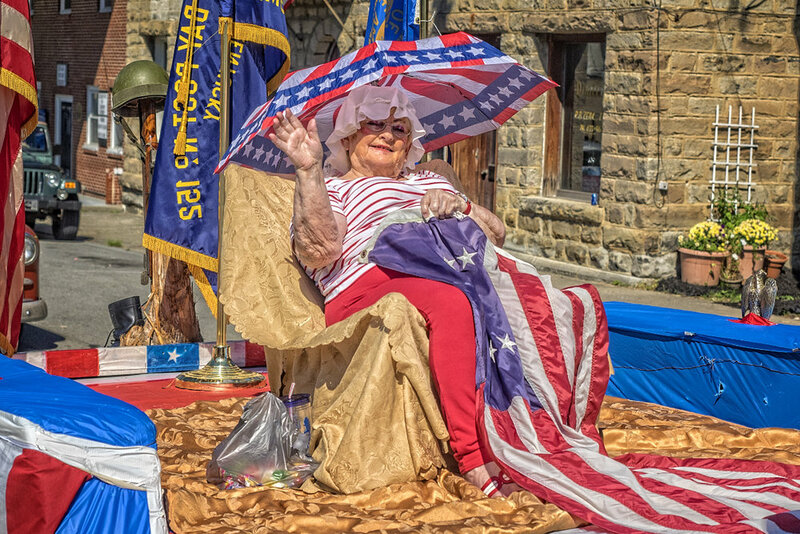 Many accompanied by parades, marching bands, beauty queens and a central theme that celebrates community, these events provide an excellent opportunity to see small towns at their finest. The arrival of spring ushers in Seedtime on the Cumberland, presented by Appalshop. 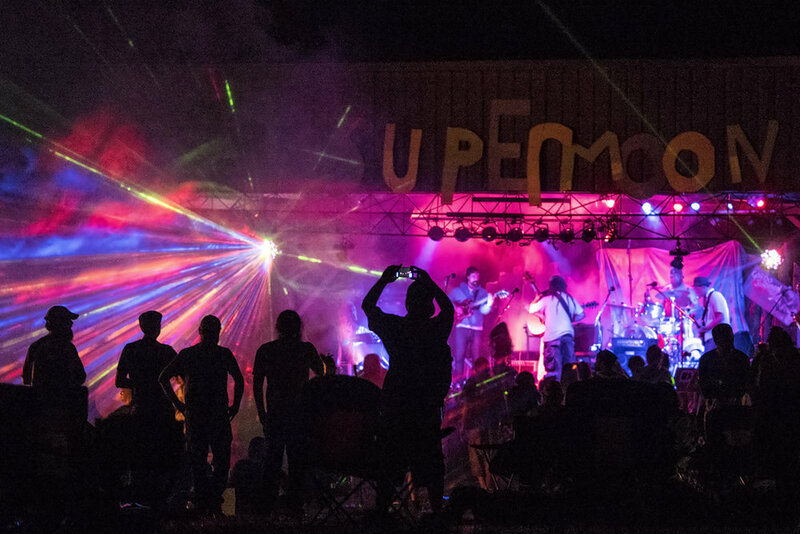 The carefree days of summer are celebrated at the Super Moon Music Festival at Wiley’s Last Resort, one of the largest music festivals in Southeast Kentucky, as well as Isom Days, the Homecoming Days Festival in Jenkins and the Mountain Heritage Festival in Whitesburg. As the air grows crisp and the leaves begin to change, Blackey hosts its annual Blackey Day, and Whitesburg plays host to Octoberfest.